Chelsea Green Publishing Company, 9781603584487, 576pp. The new threshold for green building is not just low energy, it's net-zero energy. 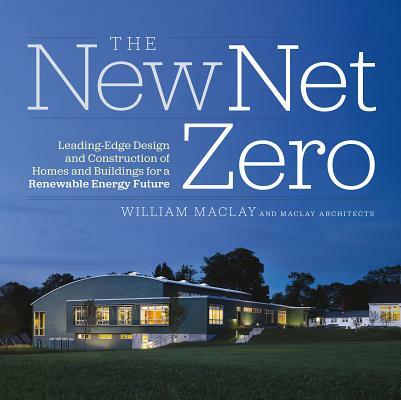 In The New Net Zero, sustainable architect Bill Maclay charts the path for designers and builders interested in exploring green design's new frontier net-zero-energy structures that produce as much energy as they consume and are carbon neutral. In a nation where traditional buildings use roughly 40 percent of the total fossil energy, the interest in net-zero building is growing enormously-among both designers interested in addressing climate change and consumers interested in energy efficiency and long-term savings. Maclay, an award-winning net-zero designer whose buildings have achieved high-performance goals at affordable costs, makes the case for a net-zero future; explains net-zero building metrics, integrated design practices, and renewable energy options; and shares his lessons learned on net-zero teambuilding.